Love Inspired brings you three new titles! 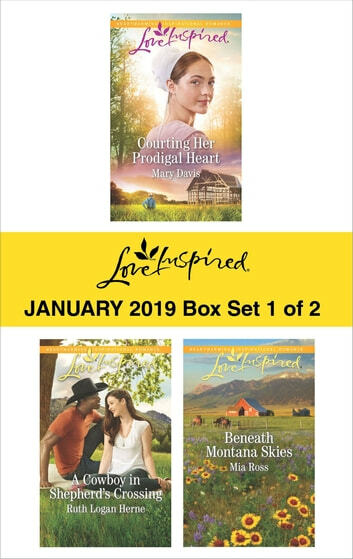 Enjoy these uplifting contemporary romances of faith, forgiveness and hope. Pregnant and abandoned by her Englisher boyfriend, Dori Bontrager returns home—but she’s determined it’ll be temporary. Can Eli Hochstetler convince her that staying by his side in their Amish community is just what she and her baby need? When Jace Middleton learns he has family he never knew existed, he must give his two nieces a home. But his house needs renovations to make it baby friendly, and home designer Melonie Fitzgerald is just the woman to restore it—and his heart. Tyler Wilkens knows going home to recover from his rodeo injuries means seeing ex-girlfriend Morgan Whittaker again, but he doesn’t count on learning he’s a father to two six-year-old girls. Can he win back Morgan’s trust and earn the title of daddy…and possibly husband?